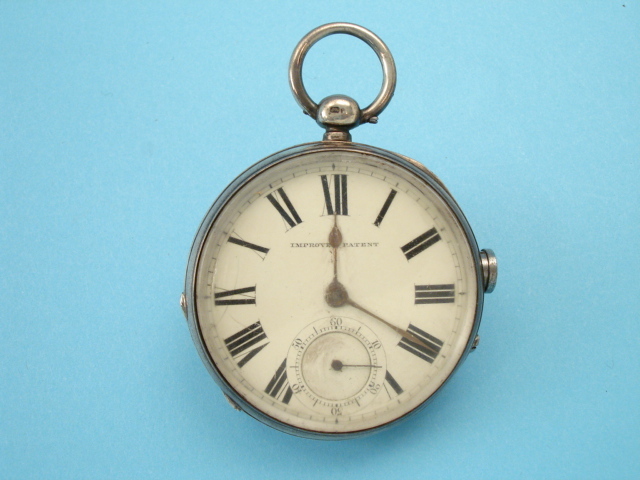 The key-wind coin silver pocket watch gun with hunting case. 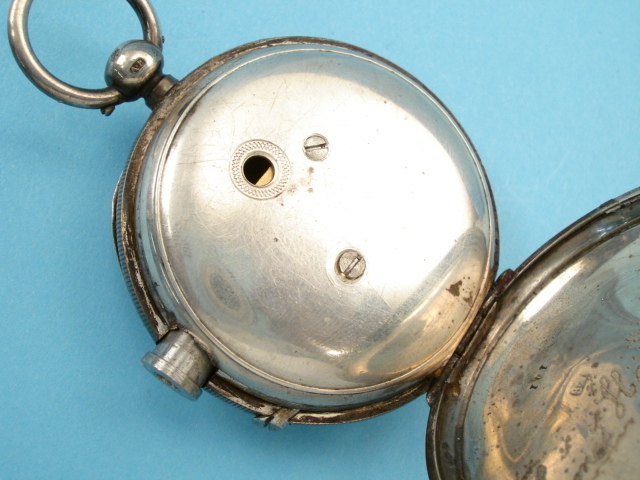 .3mm, breechblock and mechanism replace the normal watch workings. 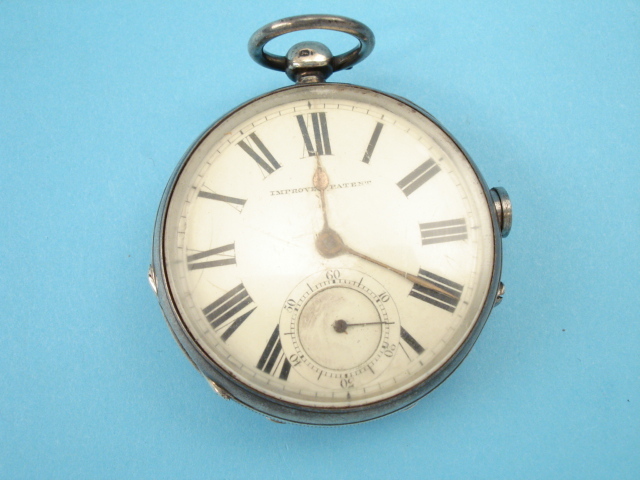 White enamel face with Roman numerals. 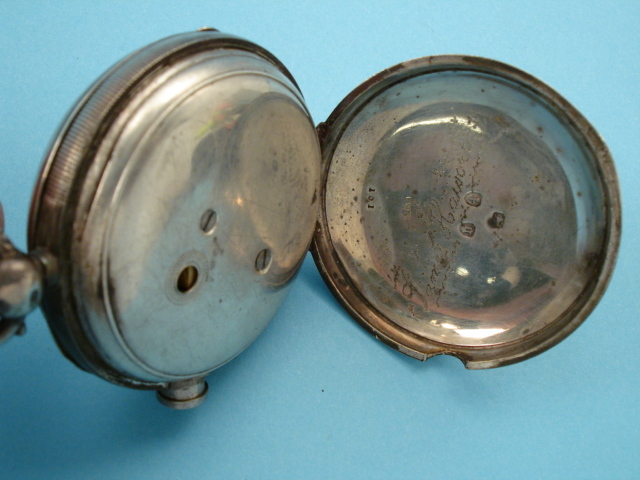 Marked: Improved Patent. Dummy hands. Raised crystal. 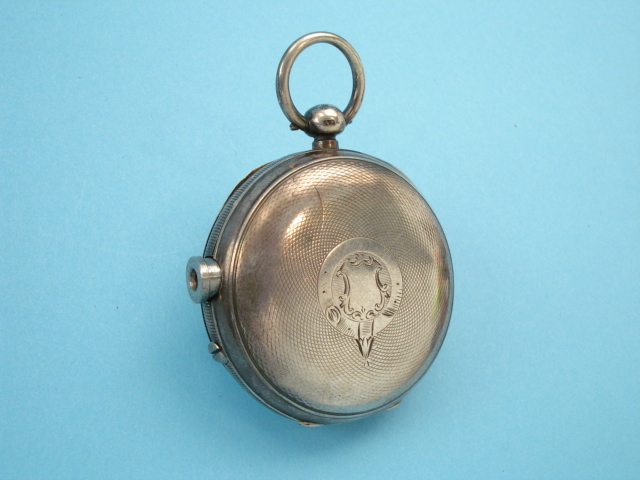 Reverse with jewelled pattern and engraved with a vacant monogram shield. Push-button trigger. 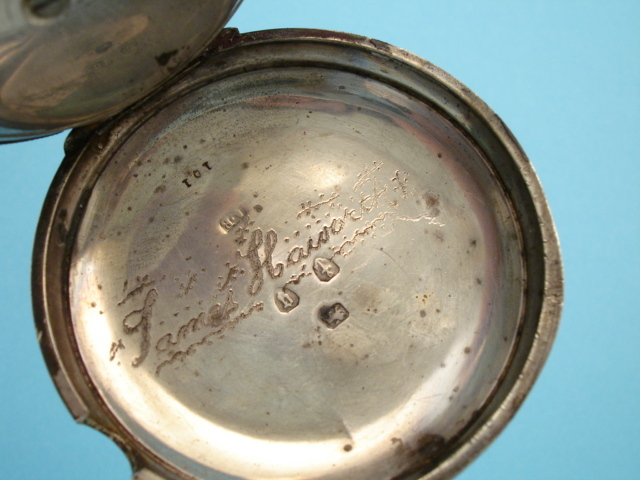 Inside lid inscribed: James Haworthy. 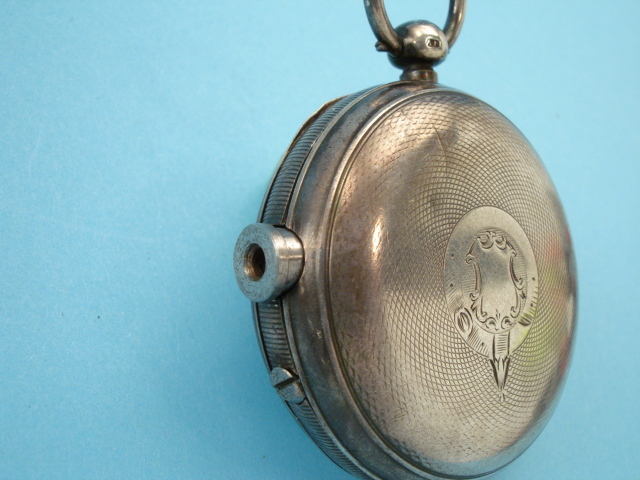 English hallmarks. 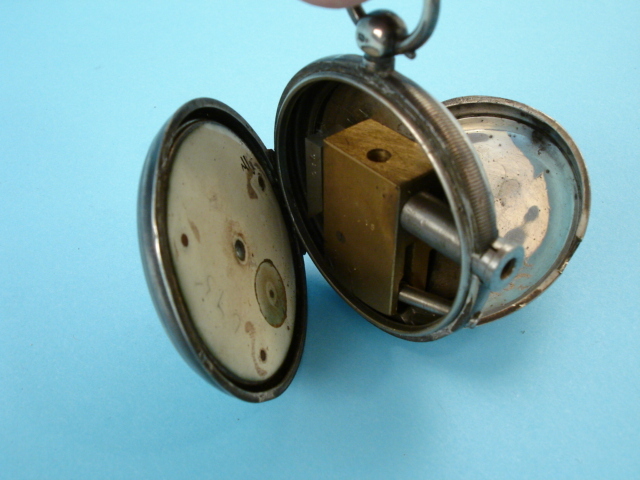 Chain ring on top.